1. Very solid construction. Genuine leather feels nice to the touch. 2. Extra padding gives ample protection. No more bruised and bloodied knuckles. 4. Mid-range price means that this is cheaper than most high-end (yet lower quality) gloves). 5. Fits snugly around wrapped hands. 6. You get to support local Thai craftsmen. 7. Gloves are very durable. Can last for years, not mere months. 8. 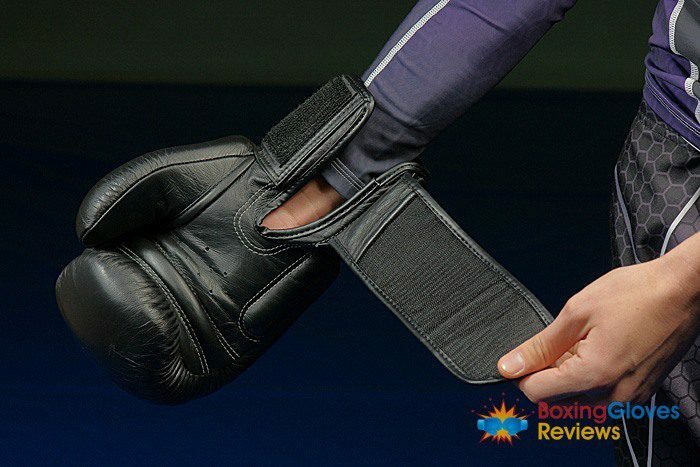 Soft padding means less risk for injuries to your partner during sparring. 9. You get to practice clinches (not just punches) with these gloves. 1. Due to the extra padding, the gloves might be a bit bulky for some people. 3. Smell of leather will stick to your hands for a long time. 4. Gloves may be a bit too snug for those with bigger hands. I've been using 14 oz gloves for two months now and I'm pretty happy so far. It took some time for them to brake in, but now I feel like it's one of the most comfortable gloves I've ever used. The only downside might be the size, as 14 oz gloves are as big as 16 oz gloves made by other brands. But they are perfect for heavy bag, pad work or practicing drills with partner. Based on many positive reviews online and because I found a good discount at my local store, I decided to get Twins Special BGVL 3 Thai gloves myself. At first I wasn’t sure whether I should get 16 oz or 14 oz gloves, because I knew that these are much bigger gloves compared to other brands. But since I’ve already got 16 oz gloves for sparring, I figure that I better buy 14 oz for some heavy bag, and mitt work. So here is my review guys. 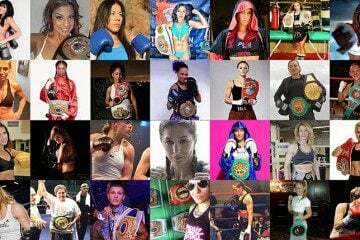 It’s common knowledge that Thailand is home to some of the world’s best brands of boxing gloves. This is the country where the deadly martial art of Muay Thai is lived and breathed on a daily basis, after all. Top quality gloves make for top quality fighters, and Thailand is in no shortage for both. 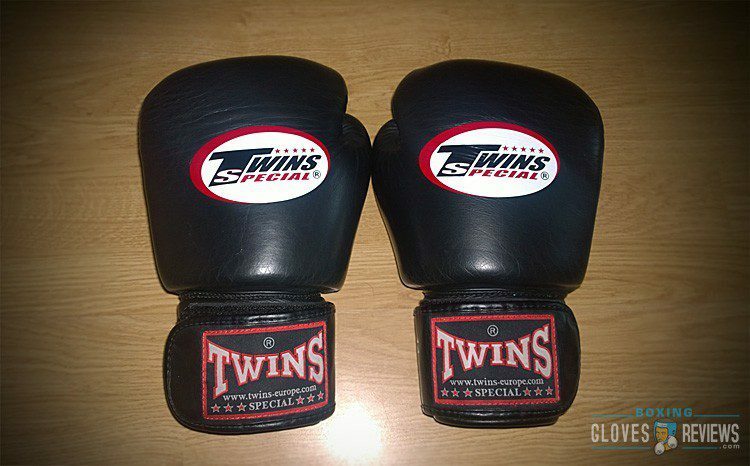 overview of Twins Special BGVL 3 Thai Boxing Gloves one of the company’s flagship products. Twins gloves are known for the very generous protection they give to the fists. And I can only confirm that. With the Twins BGVL 3 gloves, you would never have to worry about bruising your knuckles again. 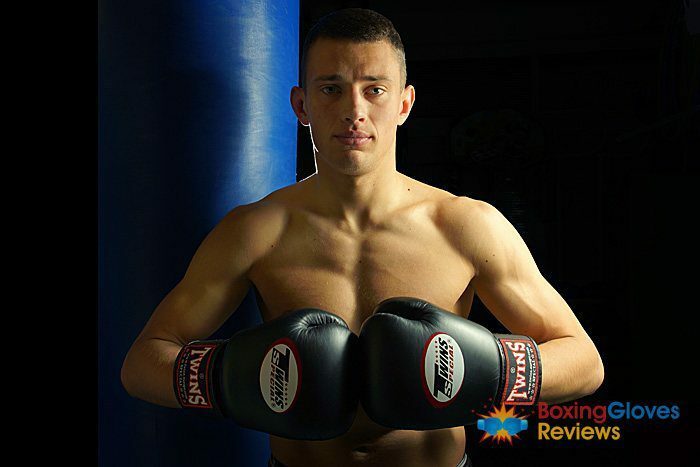 The gloves are well-padded all throughout, especially along the knuckles. And I think, because of this extra padding they are so big. While Thai-style gloves usually look very similar to Western-style boxing gloves, they usually have tighter wrist support and extra padding along the back of the hand for parrying kicks. The Twins Special BGVL 3 does not fail in these aspects. These gloves took me some time to brake in. And at first it required an extra effort to make a fist. So be careful not to injure your wrist if you just starting off. But once it did brake in, it became very save and comfortable gloves. What makes the padding for these gloves so comfy? First off, the padding is not made from just a single piece of material alone. It is three-layered, with a soft outer layer, a firm middle layer, and a pillowy inner layer for the knuckles. These make the gloves feel solid on the inside yet pliable on the outside. Its flexibility makes the BGVL 3 perfect for both bag work and sparring. 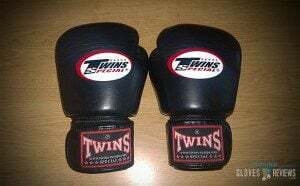 Twins BGVL 3 Thai boxing gloves that they ain’t flashy. There are no fancy graphics here, just the logo of the company on the back of the glove and the Velcro wrist fastener. Since this is a glove designed with Muay Thai fighters in mind, the overall design of the gloves have a few minor variations compared to Western-style boxing gloves. The back of the gloves have wider cuffs and extra padding for parrying punches and kicks. The thumbs are straight and there are less material on the palms so that people can easily practice their clinches when they need to. As an added bonus, there is also a gel padding on the palms of the gloves for extra comfort and protection when catching punches. 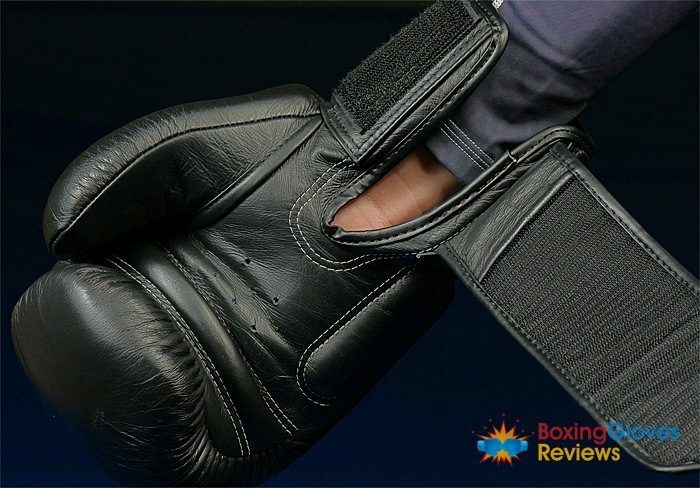 Despite being predominantly designed for Muay Thai, these gloves can still be used comfortably by those that practice boxing, MMA, and other martial arts. Unlike most boxing gloves at the same price range, the Twins BGVL 3 Thai gloves are handmade (yes, these gloves are not made on a production line, but rather, in the hands of an expert boxing glove craftsman) and uses genuine leather (instead of the PVC and plastic commonly used in lesser gloves). The front area of the gloves won’t crack with regular use, and the stitches are tight enough to ensure that the padding is secured inside the glove no matter how hard you punch. These are gloves that will last you for years, no matter what skill level you are in. Did you find my review helpful? If yest please share and leave a comment bellow! i want to buy a new pair of gloves for my kickboxing training. (tactics-sparrings and punchbag).I am between twins and venum elite which one wou reccomend? Good question! I personally prefer Twins, especially for sparring. Because of the extra padding, it gives me the safer feeling, and allows me to go harder on my partner. Of course it doesn’t mean you can’t hurt him :). It also depends how big is your fist. Some people find Twins too snug for their fist. So try it out first if that’s possible. Otherwise if you will be using these gloves more for bag work, I would recommend Venum Elite. 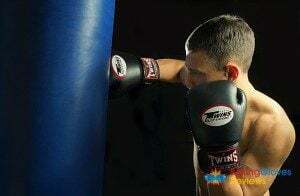 They are more compact than Twins, and feels better when I hit a heavy bag. between those two and hayabusa tokushu which one? That’s an easy one for me – Tokushu. Usually it’s much more expensive than Twins and Elite, but I’ve just checked the price and it’s available just for $63, so it’s a really good deal. Although I wouldn’t recommend to use the same gloves for sparring and bag work. Because sparring gloves has softer padding and after some time of blasting it on heavy bag you will brake down the padding and it won’t be suitable for sparring. Unless you’re training less than 2-3 times a week, then maybe it’s not worth to invest in two pairs of gloves. But if you can afford it, I recommend to buy another pair of bag gloves, even if it’s the cheaper ones. You will save the money in a long run and your sparring partners will be happier :). Nice job with your site. all the twins gloves are great quality gloves or there are significant differences between one model and another? Hey Roberto, thanks a lot! Awesome review! Just bought a pair in red!